For nearly five years, Oasis of the Seas and Allure of the Seas, sister ships that share the title of the world’s largest and most innovative cruise ships, have captured vacationers’ imagination and taken more than two million guests to unforgettable Caribbean destinations. Royal Caribbean International today announced that, for the first time since the ship was delivered in Turku, Finland, in late 2010, Allure of the Seas will return to Europe in summer 2015 and homeport at Barcelona, Spain, and take vacationers to new, fascinating Mediterranean destinations for the first, full Oasis-class Europe season. 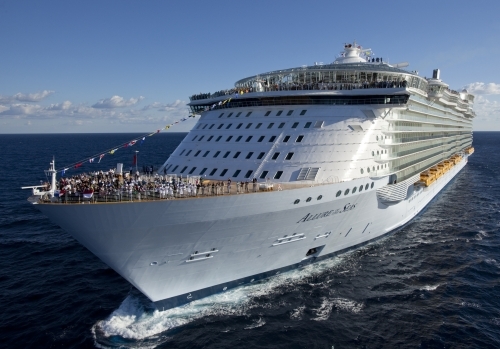 Royal Caribbean’s Crown & Anchor Society loyalty program members have the exclusive privilege to book Allure of the Seas’ Europe season one week earlier on Feb. 12, 2014. Additionally, Rhapsody of the Seas will offer three 10- and 11-night Black Sea itineraries from Istanbul, Turkey, and then sail a variety of seven- to 11-night Greek and Turkey itineraries from Rome (Civitavecchia), Italy. For its part,Splendour of the Seas will offer seven-night Greek Isle and Turkey itineraries from Venice, Italy. Allure of the Seas, Rhapsody of the Seas and Splendour of the Seas’ summer 2015 season will be open to the general public on February 18, 2014.